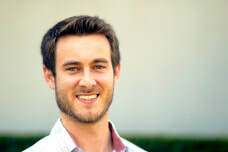 Peter is an Education doctoral student at UCI with a specialization in Learning, Teaching, Cognition, and Development (LTCD). His research is devoted to the idea that we can improve students’ academic motivation and persistence if we understand the social processes that motivate adolescents. Peter's work draws substantially from developmental and social psychology, investigating how teachers might leverage what we know about the social motives of adolescents to support their academic motivation. To that end, his work helps students for whom social transitions are difficult, including underrepresented students in STEM and online students. Currently, Peter is working on projects assessing college students' motivation in online courses, investigating the ways in which online courses change the social atmosphere of the classroom environment. His mixed-methods work has uncovered associations between the reasons students select into online and face-to-face courses, and those students' subsequent motivation and performance. He is also investigating the ways that online course environments impact students' sense of belonging and anonymity within the course. Finally, he is working to establish links between student motivation and specific study behaviors using click data from online courses. Peter has also partnered with UCI's Biological Sciences program to investigate issues of motivation and persistence among Biology majors. His work on the Enhanced Academic Success Experience (EASE) learning community initiative has focused on the processes by which learning communities foster students' sense of belonging specifically within their major program. Peter graduated from University of California, Los Angeles, with a bachelor’s degree in Psychology and a minor in Global Studies. As a research assistant studying middle and high school students, he developed an appreciation for the wide array of factors contributing to student motivation. Later, as a user loyalty developer for a startup company, he became familiar with the psychology of rewards systems, sparking an interest in how they could help engineer engagement in the classroom. Meanwhile, tutoring experiences helped him discover his passion for teaching and gave him firsthand experience with the many subtleties that affect student motivation. Peter is an avid hockey fan, and welcomes any chance to work movie quotes into a conversation.